On March 17, 1842, twenty women assembled in the upstairs room of Joseph Smith's red brick store in Nauvoo, Illinois, were organized as the Female Relief Society of Nauvoo. More than a century and a half later that organization, now known as the Relief Society of The Church of Jesus Christ of Latter-day Saints, has more than four million members in 165 countries and territories, uniting women all over the world. 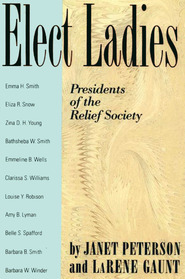 Women of the Covenant traces the rich history of the Relief Society, but its scope is much broader than that. As the authors write, it is "the story of women of the Church and the sacred promises that bind them to God and to the community of his saints." In 1842, Emma Hale Smith, the first president of the Relief Society, declared, "We are going to do something extraordinary." 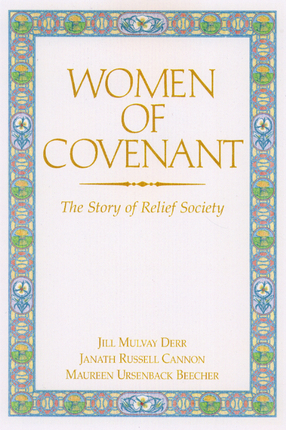 Women of the Covenant shows the extraordinary accomplishments of this unique sisterhood.